When people think about the biggest discount retail stores, they think about Wal-Mart or Target. For a while now those two stores have dominated the discount retail market. Yet, that was not always the case. From the 1960s to the 1990s the two stores that had the majority of the market share were Wal-Mart and Kmart. Both Wal-Mart and Kmart were founded in 1962 and focused on minimizing cost as their business strategy. From the 1960s to the early 1990s they both experienced a lot of growth and Wal-Mart and Kmart generated revenues of 15.96 billion and 25.63 billion respectively. As the 1990s continued the two companies headed into different directions. Wal-Mart became the behemoth that it is today while Kmart began to dwindle. One of the reasons that happened was because of how they developed or in Kmart’s case ignored supply chain management. Supply chain management is the integration ofactivities that procure materials and services, transform them into intermediate goods and the final product, and deliver them to customers. Competition is no longer between companies; It is between supply chains. Wal-Mart was a leading pioneer in supply chain management in the discount retail store industry. Most of the concepts they introduced in the 1990s are still in use today by many discount retail stores. Some of the concepts that Wal-Mart introduced were bypassing the whole-sellers to replenish their stores, developing a network of regional and local distribution centers, cross-docking at the warehouses, owning a captive fleet for store delivery, investing in the data-link connecting stores to the headquarters so that demand can be communicated effectively and without delay, and actively collaboration with suppliers like P&G to share demand data. Wal-Mart saw their revenues soar because of the implementation of these concepts and broke away from the rest of the pack. Instead of trying to develop their supply chain management and focusing on minimizing cost Kmart bought high end items to stock their shelves, going away from the strategy that made them successful in the first place. In the early 2000s they tried to revert back to their previous strategies but were too late and were heading towards bankruptcy. They merged with Sears and even with the help of Sears, Kmart stores have not been ale to regain their market share. Today very few Kmart’s exist and every week more and more Kmart’s close. The future of Kmart is cloudy. Supply chain management is an integral part of how businesses are ran and has the capability to determine whether businesses are successful. Do you think Kmart can make a comeback and regain their market share? Or are they too far behind too catch up? Do you know of any other instances where supply chain management had such a large impact in two or more competing companies? What were the results? I personally do not think Kmart will be able to make a comeback. It has gotten to the point where companies like Walmart and Target are just to big and successful to have competition from a business like Kmart. I don’t even know where a Kmart is off the top of my head but I know where several Walmarts are in my area alone. When consumers want something from a discount store I don’t think Kmart comes to mind. It would be interesting to see if they increased supply chain management in the 90s if they would be as successful as Walmart, or if it was only a matter of time before Walmart took over anyway. I do not think Kmart will make a comeback. Walmart and other stores are the leaders and have more information and research in the field. Kmart is playing catchup while driving a corolla while walmart is in a lambo. Kmart simply cannot compete with the prices and scale of walmart. That being said, i would rather shop at target and pay a little more not to have to walk into a walmart. I don’t believe that Kmart can make a comeback. They seem too far behind at this point. 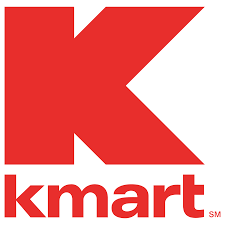 I remember there used to be a time where Kmart was everywhere and in the past ten years, I have seen only a few Kmart stores around and they aren’t usually located in heavily populated areas when I had come across them. Unfortunately Walmart took over and to me it seems like Kmart will dwindle until it is no more. The only other two companies I can really think of that relate would be Walmart and Target. I had completed a project regarding Walmart and Target last year and the results showed that people were more willing to go to a Target regardless of how far it was and spend a little bit more money just to avoid Walmart. Like everyone above stated, I don’t think Kmart will be able to make a comeback. Not many people know about Kmarts, so replacing stores would seem to be pointless. They might fight to keep the remaining stores open, but they won’t be able to scratch the surface of the control that a Walmart has. The stores will probably lose money until Kmart becomes a thing of the past. It almost seems to be Walmart’s specialty, low prices and closing other stores. K mart should just take the loss as it probably won’t make a comeback. I still don’t know how there’s one still open a few blocks from my place. K mart has developed a weak reputation, making Walmart and other top retailers even stronger. If K had some stand out qualities that differentiated itself from Walmart, than maybe it would do a little better, but to me, the one I have been to is unorganized, contains old cash registers, and charges way more for its products than Walmart. I believe that Kmart will be unable to reestablish the same credibility that used to prioritize low prices over high-end merchandse and will therefore be unable to make a comeback. As previously stated, Kmart thrived from it’s efficient supply chain management and even if those methods were to be reinstated, Kmart seems to be well on its way to bankruptcy unless remedial measures are taken. Similarly, General Motors Bankruptcy in 2009 us using factory and supply chain management methods to make a comeback which goes to show that efficient supply chain management is essential to the success of large scale buisninesses. I think kmart had a good chance of catching up when they combined with sears, but then after awhile I feel the store started to go back into its old ways and the foot traffic started to go away. I would love for Kmart to pick it self back up because I hate going to Wal mart along with the time of people that usually shop there it can get sketchy parts of the day. Target is always my main choice of shopping they seem to have a well developed store that is always clean and well ran. I agree with your blog post that supply chain management can be an integral part to a business’ success and I find that to be particularly true in the case of Walmart versus Kmart. Since both Walmart and Kmart started at the same time, this is a great example of how a company’s supply chain management can make or break its success in the overall market. I think that while there is still a chance for Kmart to update its supply chain, I do not think that it will be in enough time for the company to make a full recovery before going under. I think their brand has already been diminished in the public eye and rather than expanding like Walmart, Kmart has only been shrinking. While I cannot think of any retailers where supply chain has made such a big difference, I think it could have been a contributing factor in the success of Macy’s as opposed to J.C. Penney. This is another example of two companies that went in two directions and one ended up far ahead of the other. I don’t think that Kmart has a chance of regaining market share against Walmart. I feel that Walmart made too many operational improvements that will prevent Kmart from making any type of moves. To make any headway some drastic changes need to be made by Kmart, like rebranding or focusing and learning what will improve in the customer’s eyes. KMart has been fascinating to watch because, as a child, it was so prominent and really comparable to WalMart. It’s amazing to try to understand why a discount retailer would try to stock premium items to me: failure of management deserving of the costly mistake. WalMart seems to be in another battle today against Amazon. It will be interesting to see how these two companies, who have probably some of the best supply chain management, go to war with each other for customers as we shift to the online marketplace. I know Amazon has same-day delivery in a few places and just started testing their drones and I am curious what WalMart’s response will be. A great post which describes the difference between Walmart and Kmart in terms of their supply chain management. I think Kmart is too far behind to get up with Walmart today. Walmart is better in terms of availability of stocks and affordability as Walmart carries and sustains a high portion of its stock available and is less expensive compared to Kmart. To be successful or gain attention in the eyes of a customer I think Kmart should even prove better to stand different against their rivals in an advanced way and learning and focusing on the things it could get better. I think for K-mart to succeed again it will be a slow progress and it must be a careful plan for rightsizing operation, cutting cost and most important solve their supply chain issues. Kmart must emerge in the market with more gourmet products and higher service level, that way they will not compete with Walmart instead more like Target crowd now. I believe Kmart can comeback provided they develop a blue ocean strategy. I think they need to start to open stores in the developed countries. this can help them to create a market share world wide and to maintain a sustainable growth. I strongly doubt Kmart will be able to get back on track in terms of reputation, position and market share. Kmart is not as known as WalMart therefore, customers will be heading to their most convenient store. Replacing stores wouldn’t really make a difference to their position in the market. However, they have a chance to try to get back on track, yet it will be a bottleneck progress for them, as WalMart already has its strong position and reputation. Kmart should take counteractive measures to get through all the vital conflicts. when we are talking about two financial companies we need to consider some basic things which does not have any illegal functions. actually there are some confidential topic which matters, so just loan sections are opened for apply and information’s are quite published openly so that people can understand easily.